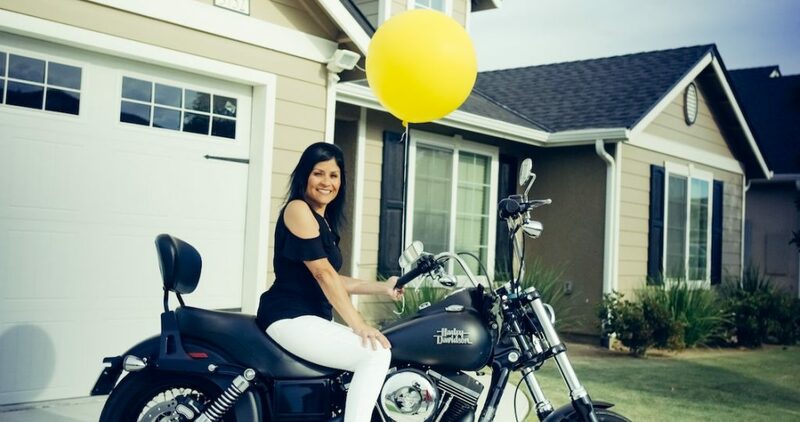 For JoAnn Verduzco, riding motorcycles and playing with her granddaughter in the park is second nature, but it hasn’t always been that way. When her father passed away in 2014 due to diabetes and other health complications, Verduzco was determined to make drastic changes in her life – and that is exactly what she did. The 49-year-old Clovis native had been struggling with type 2 diabetes for nearly two decades. In 1994 when she was pregnant with her daughter, Shiann Kwon, Verduzco was detected with type 2 diabetes for the first time. Despite gaining 50 pounds, she overcame the genetic predisposition disease. However, things became more complicated during her second pregnancy in 1999 when she was once again diagnosed with type 2 diabetes. She required various medications on a daily basis – including insulin shots – as she battled with a disease that was all too familiar in her family tree. Both sides of her family suffered from diabetes to the extent that her grandfather had both legs amputated. “I got [type 2 diabetes], I just have to deal with it,” Verduzco told herself at this point in her life as she felt there was no way around it. She reached out to the Fresno Heart and Surgical Hospital for the first time in 2010 to undergo a laparoscopic adjustable gastric banding, a surgical procedure designed to wrap the top portion of the stomach in order to reduce food intake. Unfortunately, she was part of the small percentage of people the procedure did not work for. But she refused to lose hope. She had diabetic pain in her feet, her knees hurt, and she had high blood sugar. So, in 2016 she took a leap of faith and once again reached out to the same hospital. And although she had seen much of her family pass away due to diabetes, she was determined not to be the next. “I want to live a long time to see more grandchildren,” Verduzco said. In June 2016, Dr. Kelvin Higa of Fresno Heart and Surgical Hospital ran “all the tests under the sun” according to Verduzco. As her body adapted to her healthier lifestyle, her primary doctor suggested that she test her blood every month to track her hemoglobin A1C levels. By December 2016, just six months later, diabetes had been completely eliminated from her body. Through Fresno Bariatrics, Verduzco was featured in a short video on Rise Above, a platform designed for everyday people to share their remarkable transformation stories. Delk and Verduzco created a support system for one another by sharing their stories as they battled with their weight, and the limitations that come with it. “I’m just so proud of her and to see her do the things that she couldn’t do before,” said Delk. Now, Verduzco has a calling to help others overcome similar health issues. At her lowest point, Verduzco weighed almost 200 pounds. Today she is 80 pounds lighter, and eager to enjoy life at its fullest capacity. “My goal is to stay healthy, stay active, and watch my grandchildren as they grow,” she said.